What do the Senate Budget and House Budget mean for kids? Which one is better? 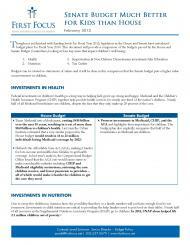 This document provides a comparison of the House and Senate Budget Committee plans, looking at key areas that impact children’s well-being.